When will be Sigmund and the Sea Monsters next episode air date? Is Sigmund and the Sea Monsters renewed or cancelled? Where to countdown Sigmund and the Sea Monsters air dates? 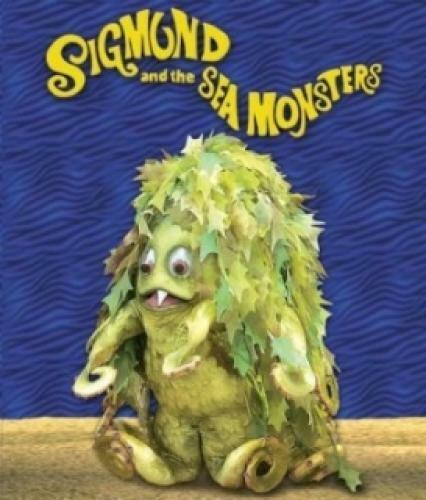 Is Sigmund and the Sea Monsters worth watching? Brothers Johnny and Scotty and their cousin Robyn become best friends with a lovable young sea monster they find on the beach, named Sigmund. The three kids teach Sigmund about the human world and help to hide him and his family from Captain Barnabus, a sea monster hunter who's determined to prove that the creatures actually exist. Still separated by circumstance, Sigmund and the kids set out to find one another and continue their friendship. But between Sigmund's overprotective family and Captain Barnabus, who's still determined to prove sea monsters are real, will they ever manage to safely reunite? The kids teach Sigmund about calling "dibs" and he mistakenly thinks he can take anything he wants from around town as long as he calls "dibs." When Sigmund's stash of "dibs-eds" goods is found at the restaurant, the kids struggle to fix the misunderstanding and return the items without telling anyone that Sigmund exists. When Robyn gives her mother Maxine a birthday present made by Sigmund, Maxine assumes that Robyn made it and is amazed by Robyn's artistic talent. Not wanting to disappoint her mother, Robyn goes along with the misunderstanding, which snowballs out of control. Meanwhile, Barnabus recruits a reluctant Johnny to help him plan a birthday surprise for Maxine. After watching a monster movie, Johnny and Scotty decide to recruit Sigmund to make a monster movie of their own. Robyn helps Maxine run a support group to cure Barnabus of his sea monster obsession. Sigmund volunteers to help Johnny and Robyn win the annual sand castle contest. But when Sigmund gets sick in the process, the kids have to figure out how to cure an ill sea monster. Meanwhile, Scotty brings a robotic vacuum to clean their cave, and Slurp thinks it's a pet his mother has finally gotten for him. The kids learn that Maxine may have to close the Tater Tower and they're determined to find a way to raise money so they can keep it open and stay in Dead Man's Cove with their best friend, Sigmund. At the same time, Barnabus makes a startling discovery that may change how he feels about sea monsters. Sigmund and the Sea Monsters next episode air date provides TVMaze for you. EpisoDate.com is your TV show guide to Countdown Sigmund and the Sea Monsters Episode Air Dates and to stay in touch with Sigmund and the Sea Monsters next episode Air Date and your others favorite TV Shows. Add the shows you like to a "Watchlist" and let the site take it from there.